Dr. Obaidullah Obaid Minister of Higher Education of Afghanistan had a meeting with Hon’ble Minister of Human Resource Development, Dr. M.M. Pallam Raju on 22nd August, 2013. He had a discussion with the HRM on cooperation in higher education. Dr. Obaidullah expressed his appreciation and gratitude for the assistance by the Government of India and by the Ministry of Human Resource Development for reconstruction and capacity development in Afghanistan. He also highlighted the initiatives like building up of schools, teacher training and capacity building and curriculum development etc., for Afghanistan. He also thanked the Government of India for different scholarships provided to the Afghan students. He also highlighted the fact that at present more than 5000 students are studying in Higher Education Institutions in India that is providing an immense capacity building support for the future generations of Afghanistan. Dr. Obaidullah also sought further support from Ministry of Human Resource Development, Government of India for development of curricula for various streams in education and also for assistance in teaching capacities in the educational institutions of Afghanistan. 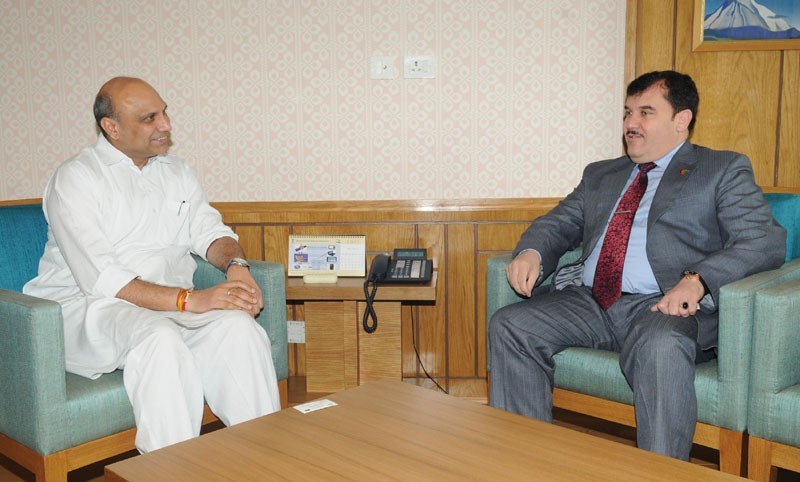 He also requested for India’s support for the development of medical education in Afghanistan. Dr. Pallam Raju assured all the necessary support for the development of education in Afghanistan and it was agreed that the Joint Working Group on education from India and Afghanistan could meet and discuss the priorities for further collaboration where detailed discussions could take place for this purpose.